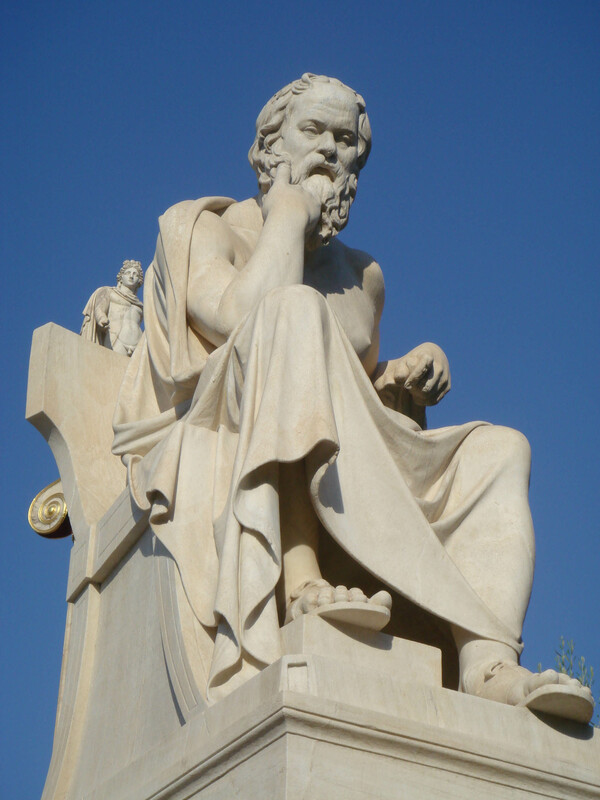 SPIRITUALITY – THE SCIENCE OF VIRTUE AND VICE: Socrates(470-399 B.C. ), Greek philosopher compares the harmony produced by virtue in the Soul with the harmony of the parts in a healthy body. His view provides a rational basis for seeking a scientific understanding of Virtue and Vice. Greek philosopher Socrates(470-399 B.C.) compares the harmony produced by Virtue in the Soul with the harmony of the parts in a healthy body. He states, “Virtue is the health and beauty and well-being of the Soul, and Vice the disease and weakness and deformity of the same.” His view provides a rational basis for seeking a scientific understanding of Virtue and Vice. If Soul or Spirit is defined as the vital, animating principle that operates in all living beings, Spirituality is a Science that describes the establishment and existence of man as a Spiritual Being. I would define Spirituality as an internal, mutually beneficial partnership between the cells, the tissues, and the organ systems of the human organism and the Whole Organism which exists as the human being. To that extent it may be stated that, Spirituality brings structural unity and functional harmony in the multicellular human organism. Spirituality involves both intrapersonal, and interpersonal relationships. However, in common usage Spiritual relationships are stated as interpersonal relationships based upon sympathy, and understanding of thoughts and feelings. To develop a basis for scientific understanding of Soul or Spirit and the characteristic attributes of Spiritual functions, I would like to give special attention to the following defining aspects of man, his living condition, and the nature of human existence: 1. Man as a Conscious being, 2. Man as an Intelligent and Mental being, 3. Man as a Moral being with ability called Discernment, 4. Man as a Social being formulating his biological existence through spiritual, biotic interactions both intraspecific and interspecific, and 5. Man as a Physical being making choices between right and wrong in the context of self-preservation or existence. The last is an area where I would like to suggest that we have to make a careful distinction between Human Nature and Human Behavior. In my view, I seek to find Human Nature in terms of living functions that the human organism performs to maintain its existence while living in a given environment and participating in interactions with other members of its biotic community and much of these functions can only be understood at molecular and cellular levels. The term Human Behavior is the subject of study of a Science called Psychology. The terms Virtue and Vice are used without making a careful distinction between Human Nature and Human Behavior and hence cause some confusion in defining them. SPIRITUALITY – SCIENCE OF VIRTUE AND VICE: Immanuel Kant(1724-1804), German philosopher states that good and evil occur only in the realm of freedom, not at all in the realm of existence or nature. Virtue is Good and Vice is Evil. Men tend to estimate or judge all things according to their own condition and the way things affect them. What is the principle of goodness in the virtues? There are several questions about objectivity or subjectivity of good and evil. How to determine good and evil? Are they determined by nature or convention? Are they objects of Knowledge or simply a matter of Opinion? Are they relative to individual desires? The terms Virtue and Vice are related to Morality, consideration of Good and Evil in human life, and with the issue of Right and Wrong in human desires, thoughts, and actions. However, to make the determination about good and evil, to make the distinction between Virtue and Vice, a few objective principles could be relevant; 1. The Rule of Reason, 2. Confirmity to Nature or Natural Law, 3. The Standard of Utility – useful and profitable nature of Virtue, 4. Obedience to the Moral Law and Moral Duty which is often shaped by acceptable standards established by social conventions or man-made rules and regulations that regulate human actions and behavior in a civilized society, and 5. Submission to God’s Will as dictated by individual’s religious faith. 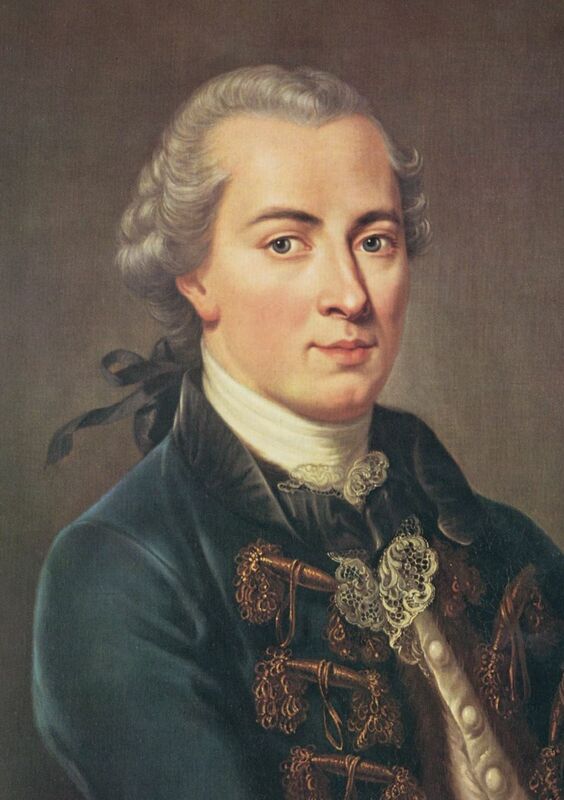 According to Immanuel Kant(1724-1804), German philosopher, good and evil occur only in the realm of freedom, not at all in the realm of existence or nature. Kant asserts that good and evil always imply a reference to the will as determined by the Law of Reason which is the Law of Freedom. In Kant’s view, virtue is the moral strength of a man’s will in his obedience to duty and Free Will is the seat or the source of all the goodness or evil that there is. While I appreciate the view shared by Kant and its relevance to the understanding of human actions and behavior, the concept of “Free Will” fails to account for man’s biological existence. To exercise “Free Will” man must establish his living condition called existence. The Law of Reason, human rationality, and human knowledge do not fully account for human existence. It is not rational for man to exist on the surface of a very fast spinning object like planet Earth. Man’s power of reasoning has no role. Man’s existence is possible because of the Force of Gravitation, a Law of Nature and its operation can be explained but cannot be accounted by the Law of Reason. 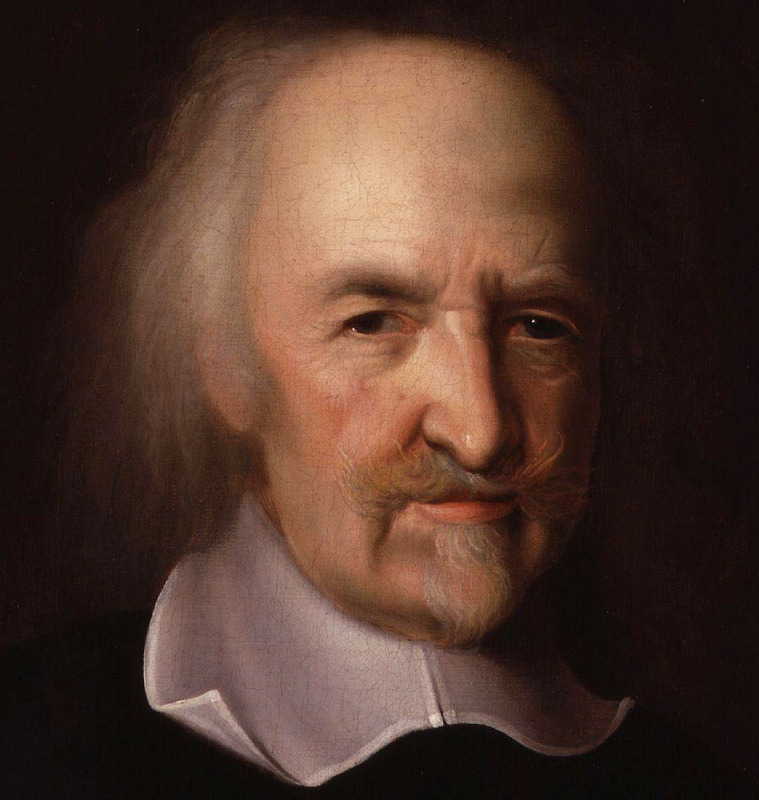 According to Thomas Hobbes(1588-1679), English philosopher, “Moral philosophy is the science of virtue and vice” – and “Therefore the true doctrine of the Laws of Nature is the true Moral philosophy.” In Hobbes opinion, virtues derive their goodness from Natural Law or the Laws of Nature. Their contrary are vice. Natural Law demands man to do whatever is required for self-preservation and peace. Self-preservation is the end which determines the direction of virtuous conduct. Hobbes defines human nature as self-interested cooperation. In his view, the goodness of virtues must be praised as the means of peaceable, sociable, and comfortable living. SPIRITUALITY – THE SCIENCE OF VIRTUE AND VICE: Baruch Spinoza(1632-1677), Dutch philosopher taught that there is but one Infinite Substance, God or Nature having infinite attributes. He held that human mind and human body as merely different aspects of a single Substance and God is Nature in its fullness. Baruch Spinoza(1632-1677), Dutch philosopher taught that there is one Infinite Substance, God or Nature having infinite attributes of which only thought and extension are knowable. He held that human mind, and human body as merely different aspects of a single Substance and God is Nature in its fullness. Both Spinoza and Hobbes stated a theory of Virtue making self-preservation the end which determines the direction of virtuous conduct. Both consider civil peace or the good of others in relation to self. Whereas Hobbes describes Virtue by reference to Natural Law, Spinoza identifies virtue in terms of adequate ideas of God’s Nature. 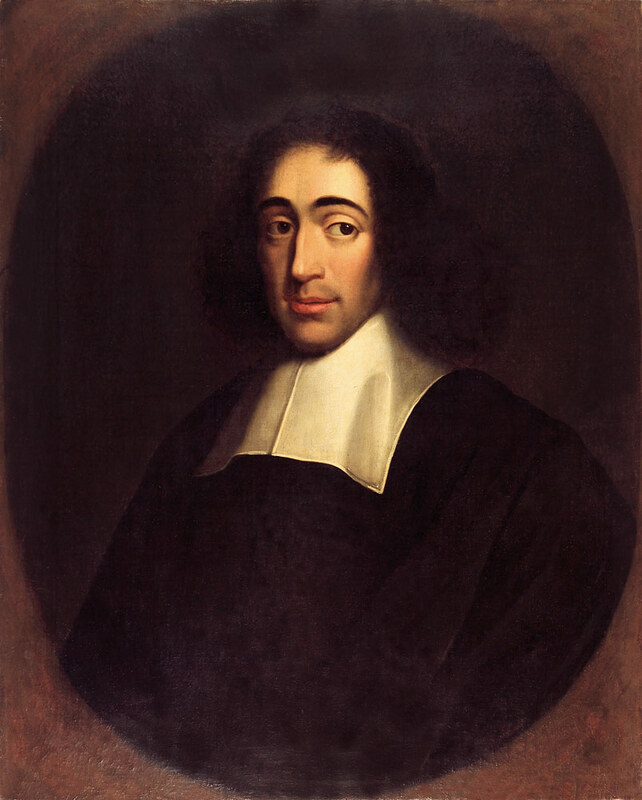 Spinoza identifies Virtue with power and holds that, “The more each person strives and is able to seek his own profit, that is to say, to preserve his own being, the more virtue does he possess.” “The endeavor after self-preservation…….the primary and only foundation of Virtue.” “To act in confirmity with Virtue is to act according to the guidance of reason……, it is a good which is common to all men, and can be equally possessed by all in so far as they are of the same nature.” In Spinoza’s view, self-preservation has its foundation in knowledge of God. While I generally agree with the view shared by Spinoza, I tend to think that this self-preservation or human existence is fundamentally established by God’s Unconditioned Love which does not demand knowledge about existence of God. In other words, man can maintain his conditioned existence without any basic ability to gain knowledge of God. 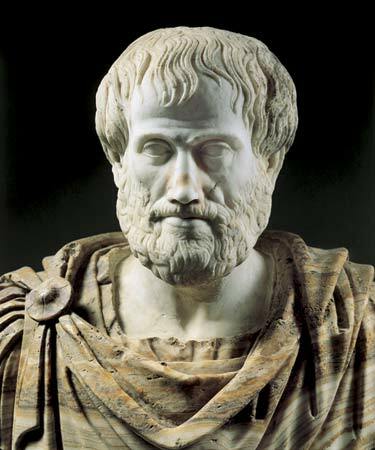 SPIRITUALITY – THE SCIENCE OF VIRTUE AND VICE: Aristotle(384-322 B.C. ), Greek philosopher states that happiness may be seen as constituted by bodily and external goods such as health, pleasure, friendship, and wealth. Virtue is the good that causes our thinking and acting well with respect to all other goods. Happy man is one who is active in accordance with complete virtue. Virtue can be viewed in the context of Duty or that of gratification and pleasure. Virtue can be seen as the means to obtain the end called Happiness. Virtue is a natural and necessary condition of Happiness. Virtue and Happiness can be explained as reciprocal notions like Cause and Effect. In Kant’s view, Virtue consists of doing one’s duty to become worthy of happiness. Virtue is related to happiness through the medium of duty. Aristotle(384-322 B.C. ), Greek philosopher states a view of Happiness in which it may be seen as constituted by bodily and external goods such as health, pleasure, friendship, and wealth. Virtue is the good that causes our thinking and acting well with respect to all other goods. Happy man is one who is active in accordance with complete Virtue. If the object of Virtue is Happiness, I would like to assert that there will be no Happiness unless and until man discovers Peace, Harmony, and Tranquility in his living condition called existence. The specific quality of the maxims that define the difference between Virtue and Vice are Peace, Harmony, and Tranquility. In my opinion, man the Spiritual Being is known from the nature of his conditioned human existence seeking Peace, Harmony, and Tranquility within himself and with others in his environment, and community. I would like to define the terms Virtue and Vice as relative to man’s experience of Peace, Harmony, and Tranquility in his own life and in his interactions with his external environment and community.